I am here to set you free from your daily paperwork routine and make your work days shorter. Don't hesitate, write to me and find out if I can help! I can do any kind of data entry and copy paste work. · File conversion from one format to another. · PDF to Excel data conversion. · Arranging data in Excel/Making and filling in Excel spreadsheets. · Copy and paste the data from websites, docs etc. 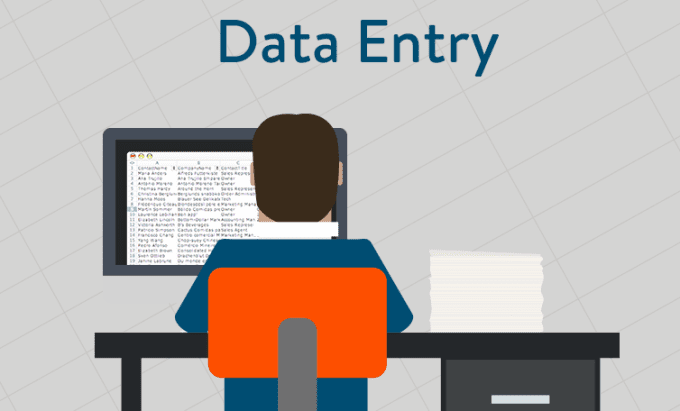 · Data entry from websites, docs etc. · Sending emails according to Your Requirements. · Searching for contact information on the net. · Make a web research. · Transcribe audio/video, up to 10 minutes. · 100% Guarantee for Confidentiality. perform data entry skillfully is ranked 5 out of 5. Based on 14 user reviews.